Join Jodie Limon Montoya, Education Coordinator from the Long Pasture Wildlife Sanctuary, as she talks about Horseshoe Crabs. They are spawning in our sands! These ancient creatures have been around for 400 million years, adapting to and withstanding every conceivable change time has presented. They have a critical role in the lives of the Red Knot, a migratory shorebird, and are important to biomedical research and the pharmaceutical industry. 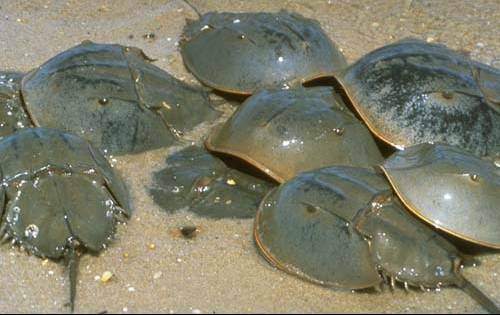 Cape Cod is home to a population of Horseshoe Crabs in severe decline and unsustainably harvested for bait. Learn about what Mass Audubon and other conservation groups are doing to protect this amazing marine creature here on Cape Cod.